Can Relaxers Damage Your Hair? that, when used incorrectly can cause extensive damage to your hair. The client featured in today's post had to learn this the hard way. 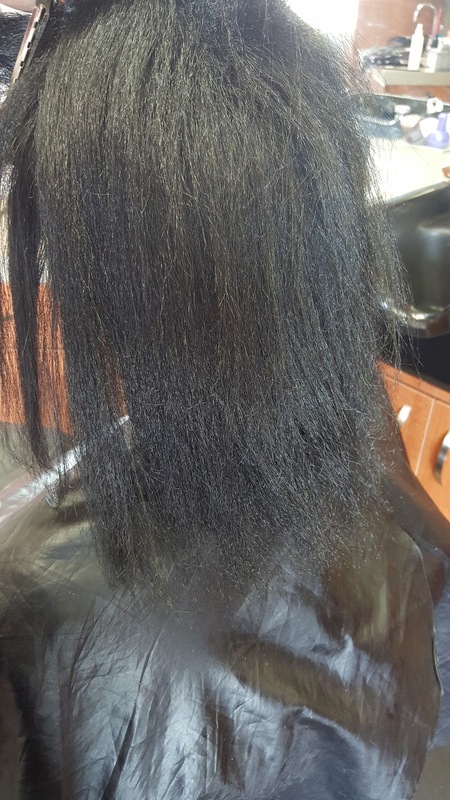 On this client's first visit, she explained to me that her damaged hair was caused by getting relaxers every six weeks. Listen up ladies!! I have said this one million times but I will say it one hundred million more until all of you get it. 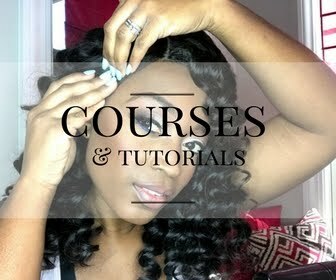 Getting a relaxer every six weeks is too soon (see why here)!!! 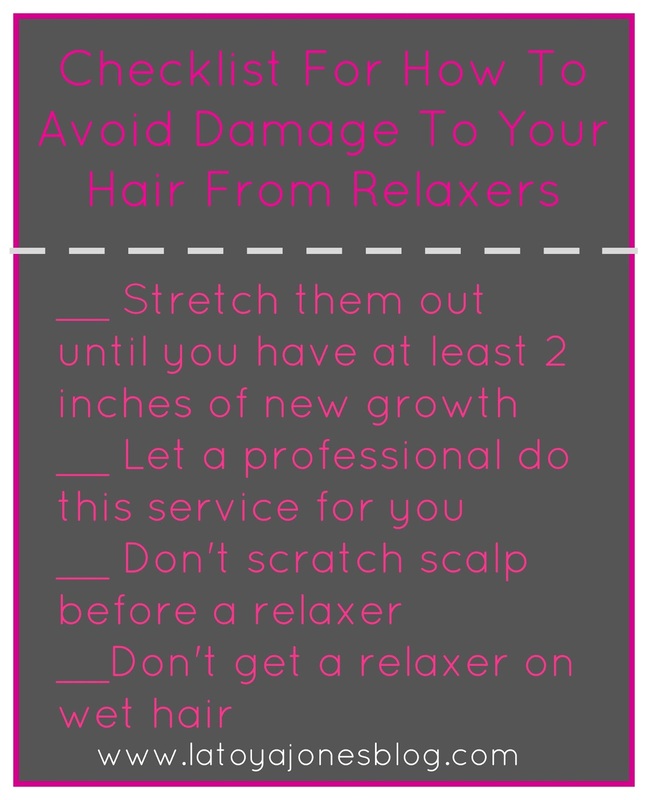 The short version of the explanation to this is because you do not have enough new growth to relax without relaxing previously relaxed hair at that point which means over-processing will happen which is what causes damage to your hair. 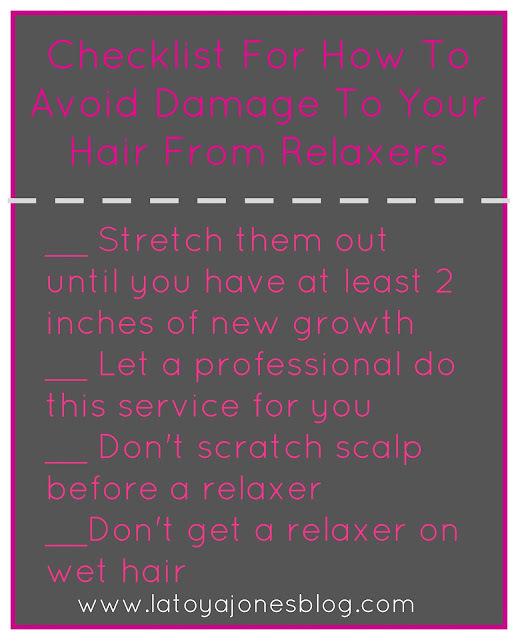 Can having a relaxer cause damage to your hair? This client's hair began to break from too much over-processing. Her hair broke pretty much right at the new growth. 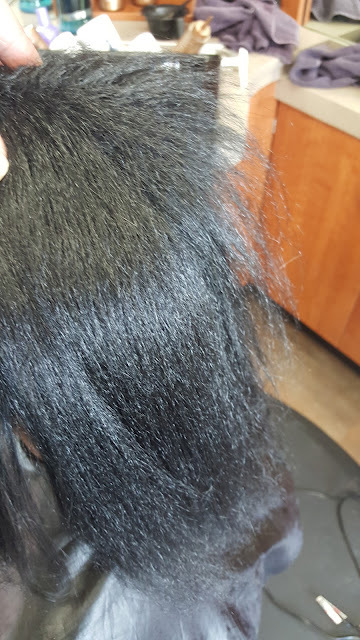 The reason why it did not break at the scalp is because the new growth hair is the strongest and the only hair that has not been over-processed. 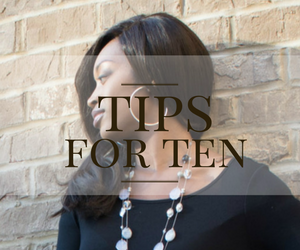 Each hair strand gets weaker from top to bottom, which means that the hair from the mid-shaft to the ends is the weakest and where you will see the most breakage when relaxer damage is involved. 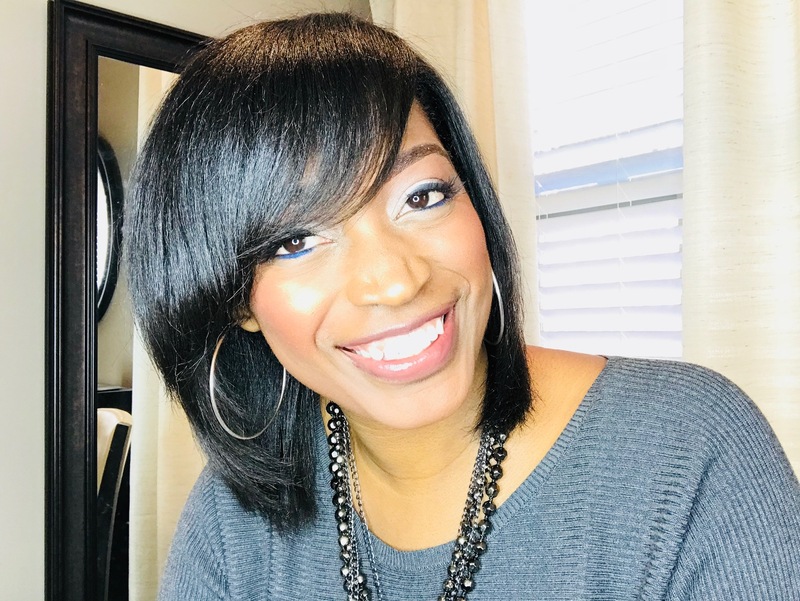 I suggest to all of my clients that they wait at least four months in between relaxer services because this is about the average time that it takes a person to grow two inches of new growth. I have relaxed hair myself and it is healthy, thick, and long! I get my touch ups only twice per year or every six months. 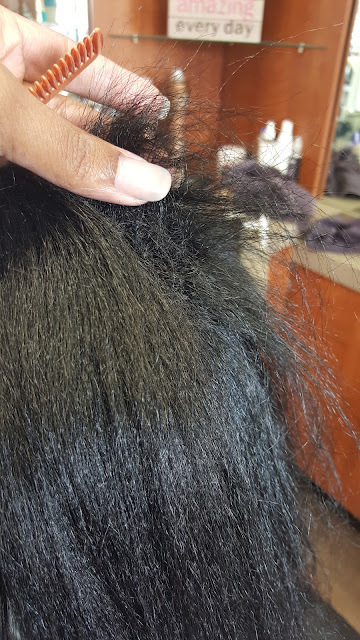 That way, the hairstylist that does my touch ups can clearly see where my new growth ends and my relaxed hair starts and over-processing is very minimal if there is any at all. 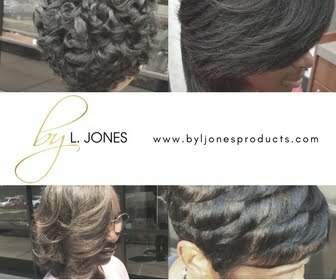 The truth is that relaxers get a bad name but if women would use them correctly, they can have healthy, relaxed hair. They key is to use them like they are intended to be used. Stop getting them too soon, let a professional do them, and also, do not get permanent color at the same time! Doing all three of these things will greatly decrease your chances of having unhealthy hair with damage, and increase your chances of having the hair that you want!